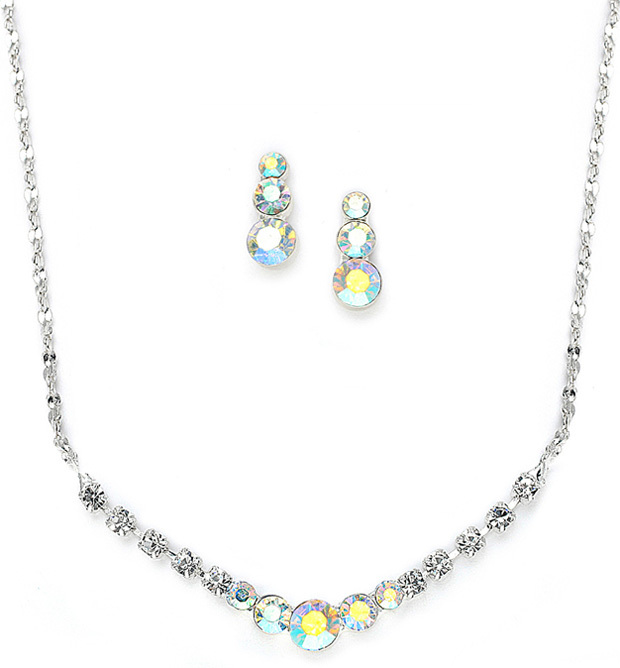 * Mariell's top-selling bridesmaid or prom rhinestone & AB crystal necklace set adds iridescent sparkle to wedding parties or special occasions at a great wholesale price! * This guaranteed best seller is an essential accessory for every special occasion retailer. * With pastel shimmer to match every color dress, it is a customer favorite at an incredible price!